A new dinosaur has been discovered in New Mexico which sheds significant light on the evolution of the group. 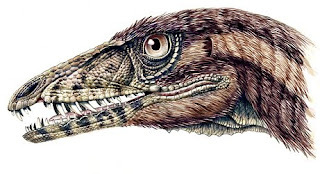 The new species is from the late Triassic Period - a small, early relative of Tyranosaurus rex and Velociraptor. It is 2 m long, bipedal, has short forelimbs with sharp claws, and downward curving teeth and has been christened Tawa hallae, after the Native American Hopi word for the sun god. The discovery also highlights how dinosaurs dispersed across what was then the "supercontinent" Pangaea. Tawa hallae is believed to be 215 million years old and its existence demonstrates how dinosaurs split into their three major groups - theropods, sauropods and ornithischians - very early in their evolution. Tawa belongs to the theropods: bipedal dinosaurs that were mainly carnivores. The line included the iconic Tyrannosaurus rex and Velociraptor. For more information on this significant find, click here.